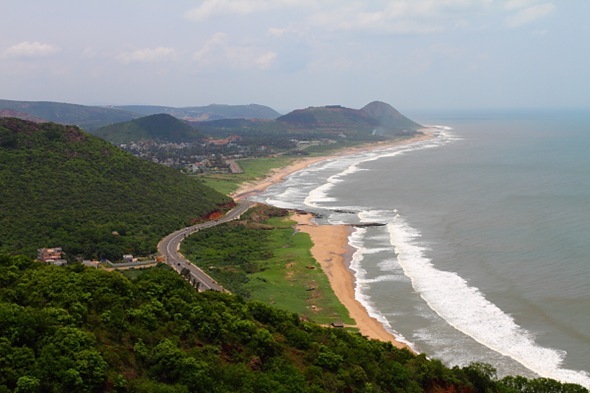 India’s Eastern Ghats are a discontinuous chain of mountains extending parallel to the east coast of India and situated within the states of West Bengal, Orissa, Andhra Pradesh, Karnataka and Tamil Nadu. The mountains are the habitat of rare species of flora and fauna and are also home to several indigenous tribal populations. Since colonial times, and also post-Independence, there has so much accelerated human intervention primarily through state-led projects in the pursuit of modernization and national development. This took various forms – railway lines, mining, dams for hydropower and irrigation, extractive industries. The biotic pressure on these ecosystems is quite pronounced and felt in these ecosystems, calling for conservation agenda which captures this diversity. Several laws that have been enforced to safeguard both the environment and tribal communities, which include the Wildlife Protection Act 1972, Environmental Protection Act 1986 , Forest Conservation Act 1981, Environmental Impact Assessment Notification 1996, Biodiversity Act 2002, National Green Tribunal Act 2010, Scheduled Five of the Indian Constitution, Forest Rights Act 2005, and the Panchayat Extension to Scheduled Areas 1996. While these laws in principle could be effective in providing necessary checks for ecological disturbances and damages, in practice they have been found inadequate in many cases. The more recent controversies of Niyamgiri and POSCO, where mineral extraction was proposed, have proven the complexities of political and legal battles fought by local communities and environmental and human rights groups. They are fighting for the justice for people and nature. The similar situation will arise out of the decision of the Andhra Pradesh government’s proposal to mine bauxite in Visakha and East Godavari region, as also the decision to go ahead with the Polavaram project, which would displace more people than the Sardar Sarovar Project on Narmada river. There have been several attempts at conservation of Eastern ghats by NGOs and the government bodies like the Environment Protection Training and Research Institute (EPTRI), Hyderabad, and various universities situated on the Eastern Ghats. But these efforts have not come up to the stage like in the case of Western Ghats. An important coordinated movement from the non-government organizations (NGOs) was Save the Eastern Ghats March, or Manya Pranta Chitanya Yatra, which was taken out in early 1990s when a large number of NGOs working in the state of Andhra Pradesh walked for nearly 1.,250 kilometres though Orissa and Andhra Pradesh coastal areas. In this march, Samata, based in Visakhapatnam, actively participated as the core group. From the side of the state, the EPTRI has been organizing for several years seminars on Eastern Ghats involving the state governments to of Tamil Nadu, Andhra Pradesh and Orissa. The issue of conserving and protecting the Eastern Ghats is all the more important in today’s context when the new state is planning to develop this region into an industrial hub. The basic needs of water for the population to survive, livelihood of the tribal communities and the need to preserve endangered species of flora and fauna are under threat following sharp rise in the demand for water for industrial needs and the destruction of mountains for bauxite. As an informed society, there is a need to take a sound and sustainable decision on all this. Samata has been engaging with environmental and tribal issues in the Eastern Ghats region for the past three decades with many NGO groups, and through its experience believes that it is timely to have a dialogue on how conservation efforts have to directed in the present and future in order to ensure justice and sustainable development to both people and nature. There is need to raise relevant issues for a sustainable future of all of us, as Samata believe that the “health of the hills is the wealth of the plains.” All this is particularly important because several adivasi communities or indigenous people are spread over the Eastern Ghats across the southern and eastern region of the Indian sub-continent. It is a tragic irony of development that these adivasi communities are at their vulnerable worst at the end of this millennium. The effects of globalisation have had far-reaching consequences in the Eastern Ghats. With the advent of liberalisation, the Eastern Ghats witnessed a sudden invasion of macro-economic forces for the exploitation of its rich natural resources. Virgin forests, with their enormous wealth of timber, mineral and non-timber resources have been ruthlessly, unscientifically and irresponsibly tapped first by the public sector industries and from the eighties onwards, by the private and multinational industries. Of these the mining industry has been the most extensive in its spread and destruction. Mining as the single largest industry has caused severe imbalances in the social, political, cultural and legal status of tribals. Constitutional changes of the state-the protective legislations of the Fifth Scheduled (tribal) areas to safeguard the lands and resources of the tribals are under severe pressure of amendment for creating easy access to industries. So powerful are the lobbies that the state itself violates the laws for granting leases in tribal areas to private industries. This has further led to loss of control over resources, decision-making, social and cultural identity, displacement, loss of livelihoods and all the related evils of involuntary displacement and forced migration. This coercive migration has made tribals minority communities in their own regions and deeply entrenched the non-tribals and commercial groups within the tribal belt. Development interventions by the government and non-governmental agencies with the tribal people have been very skewed, shortsighted, welfarist and far from aimed at empowerment of people. Literacy levels continue to show extremely shocking results so much so that there is very poor awareness or accessibility to political, legal and economic systems among the tribals. The tribals are so dispersed physically and psychologically that they do not have a strong political identity or representation either at the local, regional or national levels, unlike the Dalits, who have built up a discernible political identity · The non-tribal political forces, either of the left wing or the right have managed to disenable any form of leadership emerging from the tribal communities to take their issues forward.